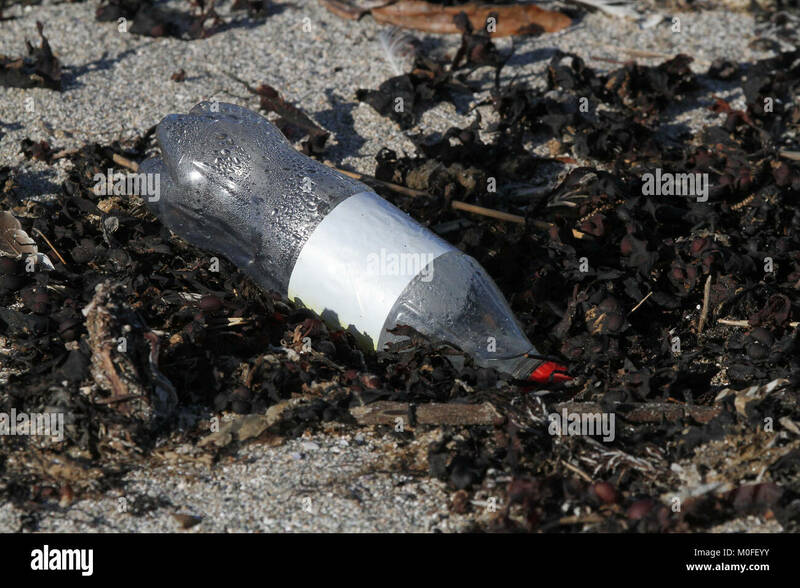 Plastic soft drink bottle on beach. Plastic waste in the oceans On Friday 19 Januray 2018 soft drinks giant Coca-Cola announced an aim to recycle a bottle for every new Coke bottle sold as part of its "World Without Waste" initiative. The red top of the Coke battle washed up on the beach is the only identifiable part of the brand to have survived the elements.